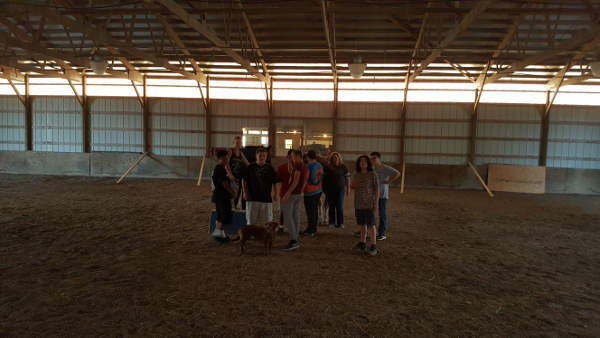 Blue Sky Ranch specializes in providing safe, affordable, Equine Assisted Activities (EAL) and Therapies (EFT) to promote healing and independence. At Blue Sky Ranch we know that everyone faces challenges at one time or another. We believe our story has given us a unique ability to bring hope into yours. We love to work with youth at risk, veterans, children with autism and anyone in need of creative solutions to longstanding mental and emotional challenges. 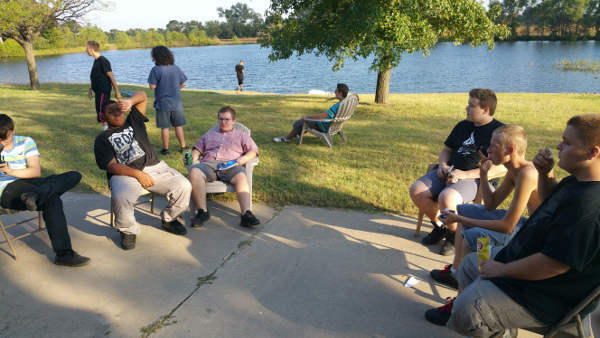 What does Blue Sky Ranch Mentoring look like? We are present in their schools, tutoring boys, teaching construction skills, engaging them at the ranch and offering life changing therapy for their specific needs; while developing healthy relationships to last a life-time. If it’s your joy to support our vision, we would be honored to partner with you. Giving to our mission helps support our horses and in turn the lives of the people they help. True healing often begins when we can lean on those who are ready to stand by us no matter what. At Blue Sky Ranch in Haysville, KS, we believe in this kind of transformation strategy. With every person that comes into our care, we see their potential, and our horses know it too. 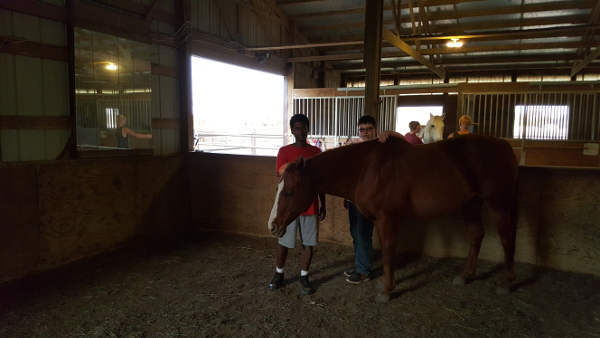 No matter where you’ve been, our mentors, therapists and horses have empowered youth, families and veterans to reach greater levels of mental and physical health like never before. Today, our horses and licensed therapists continue to play a critical role in transforming countless lives. We’re honored to have played a part in so many stories, and we’re ready to be a part of yours. Our programs serve children, veterans, and individuals with physical, cognitive or emotional challenges. Horses are very intuitive creatures and possess an acute sense of awareness to everything that is going on in their environment. They are extremely sensitive to the actions of humans and have the uncanny ability to pick up on our non-verbal behavior. Horses are completely honest in the way they react to situations. They do not have the ability to lie or gauge their reactions to spare anyone’s feelings. Questions about Blue Sky Ranch? Please see a few of the commonly-asked questions here. If you need more information or have other questions or requests, contact us today. What types of therapy are available at Blue Sky Ranch? 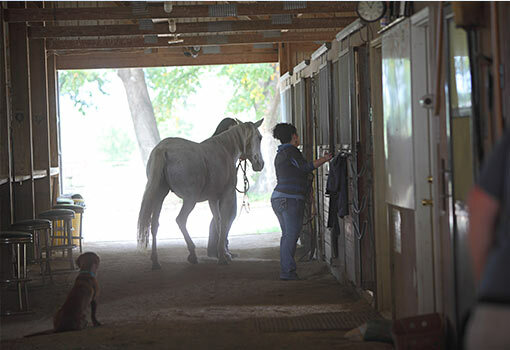 Blue Sky Ranch offers equine assisted therapy following the EAGALA method. This is offered for individuals, families, and groups. We will be offering camps, retreats, and events throughout the year. For more information call Camber White at 316-218-3486. Does Blue Sky Ranch offer horse boarding? Blue Sky Ranch does offer limited boarding opportunities. To get more information call the barn manager, Camber White, at 316-218-3486. Can I rent a horse to ride at Blue Sky Ranch? Blue Sky Ranch does not provide horses for rent. However, we do host activities, events, and can schedule special riding opportunities. For more information call Tammy White at 316-648-5385. Is Blue Sky Ranch open to the public (for fishing, hunting, camping, events, etc.)? Blue Sky Ranch is a private facility that offers special outings and events. For more information call Tammy White at 316-648-2745. Can I schedule an event at Blue Sky Ranch? Yes, for information about scheduling an event call Tammy White at 316-648-2745. Can I volunteer at Blue Sky Ranch? Yes, Blue Sky Ranch is in the process of developing a volunteer program but we can also use help! If you would like to receive information about volunteering contact Tammy White at 316-648-2745. Does Blue Sky Ranch offer riding lessons? Yes, Blue Sky Ranch offers beginner riding lessons. For more information call Camber White at 316-218-3486.